Almost a new and changed generation of iOS is upon us. 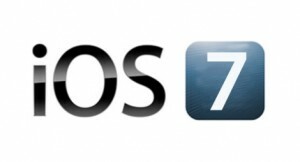 The developers of Apple have already claimed that iOS 7 will bring revolution in the era of Smartphone. People will get new services, products, software’s and app from Apple. After the iOS 6 gadgets fan were desperately waiting for the upgraded version of the iOS operating system. Now their wait is over with iOS 7 which is quite expected to fulfill all the needs of the users in all possible ways. iOS 7 will offer us digital authenticity. iOS 7 will definitely reboot its apps. Calendar app and Mail will be more flexible and usable. Users will get a new lock screen with the widgets removed. Apple is trying to follow the current design trend. It has playful colors, simplicity at ease, flexible interfaces. This will definitely make user to adore the new look. The pictures or wallpaper that you will select for your background will go to the other part of interface also. The screen has the sense of depth to give the feel of parallax. Thus, this gives the feel of each fine detail very clearly. The icons on the wall are not changed, but they have got the feature of flattened and the reflective overlay has been removed. The app folder has come with the option of multiple screens to bring smile on your face. In ioS 7 you can easily access notification centre from the locked screen to view upcoming reminders, events and weather. This offers the user to access the all the notification while talking on phone also. iOS 7 has bottomed drawer that provides access for brightness, calculator and flashlight. The Airdrop function is also accessible from here. This will provide ease to change the settings anytime. One of the major features that every consumer wants in their phone is to keep millions of snaps. The feature in Ios7 has got upgraded and individual moments can be grouped together. Zoom out function has come with better quality. At a time you can work on many apps. There is a major change in “tap and hold” feature to kill unresponsive app. More clear transition from one icon to another. This time Apple has been careful while updating its operating system so as not to alienate the existing base of user. This Ios 7 will definitely bring with it something that gadgets freak were looking for a long time.